As is well known, Antonio de Torres was the great revolutionizer of the guitar on the 19th century, and he was who gave the basis for the instrument today known as classical guitar. It has been said a lot about Torres and his work, some more or some less exact information based on extreme scientific rigorousness or on absolute intuition. This is the reason why years ago I decided to study as much guitars from the Maestro as I could so to make my own judgments based on empirical data and also on the subjective sensations I had with each guitar. 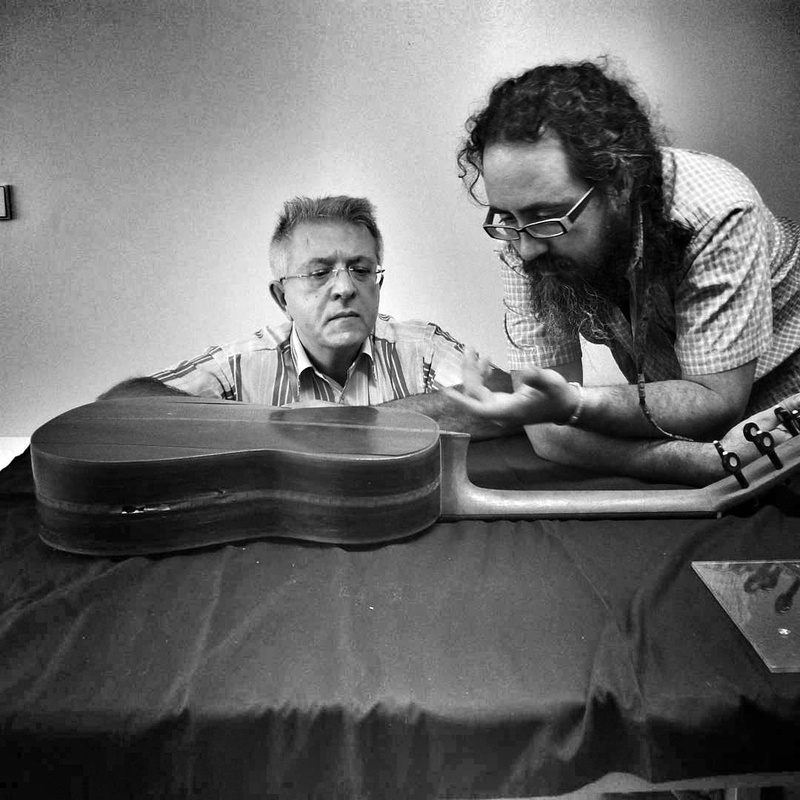 After the detailed study of more than thirty original instruments by Torres, and of restoring a few of them, and of the lots of hours of conversations about Torres and his guitars with masters and friends like José Luis Romanillos, Carles Trepat, Jaume Bosser, Stefano Grondona or Raül Yagüe, I propose different models of Torres’ guitars. 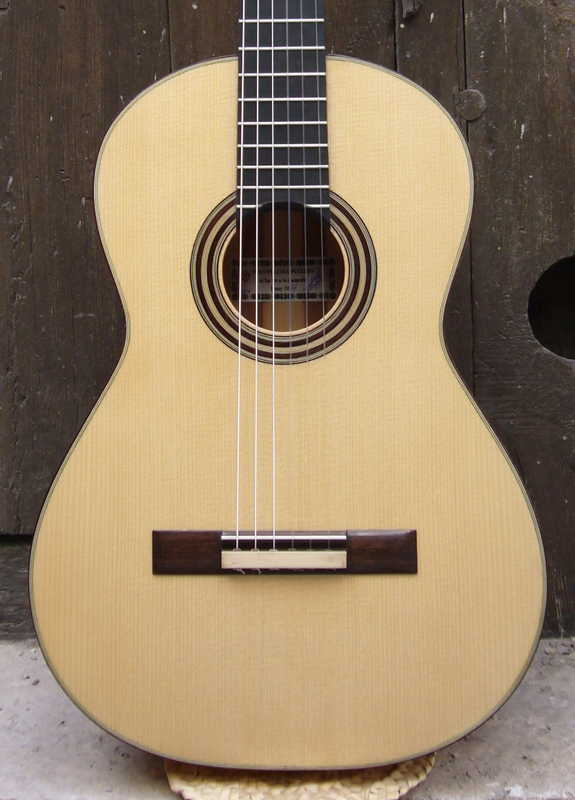 Looking for Torres’ sound is my way of making classical guitars staying away from the current standards, giving more importance to nuances and comfort than volume, thus building an instrument for the guitarist who is looking for his very own sound. Here you will find instruments with different plantilla or from different moments, with archaizing or modern sound, but always trying to be loyal to the concept of guitar that I think Maestro Torres had in more than a hundred years ago, which I think is also a present-day concept. 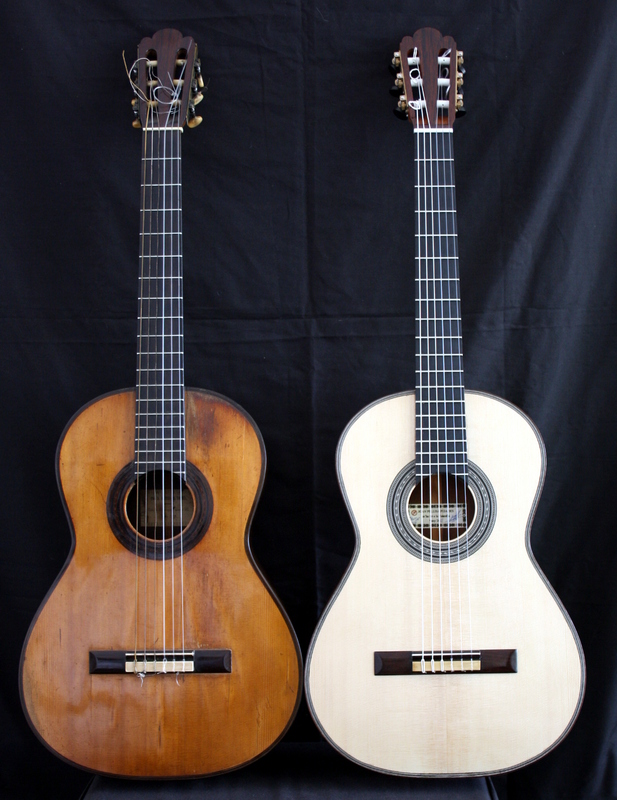 My Torres model guitars are always based in the direct study of the original instruments, using photographs and publications as complements but never as the only information source. I believe the reproduction of an instrument is literally impossible without studying the original, and very dificult without having studied several instruments of the same builder. All the instruments will be given strung with Knobloch Sterling Silver strings and with a semi-rigid case. If you want another kind of case, the price will be re-calculated. 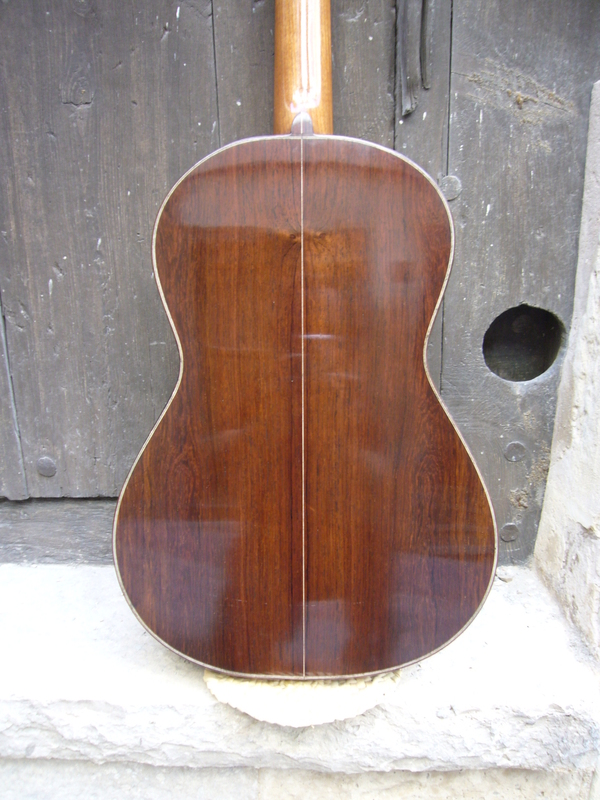 Guitar copy of the SE109 of 1887 or the SE117 of 1888. This is the most economical model that left the Torres workshop. 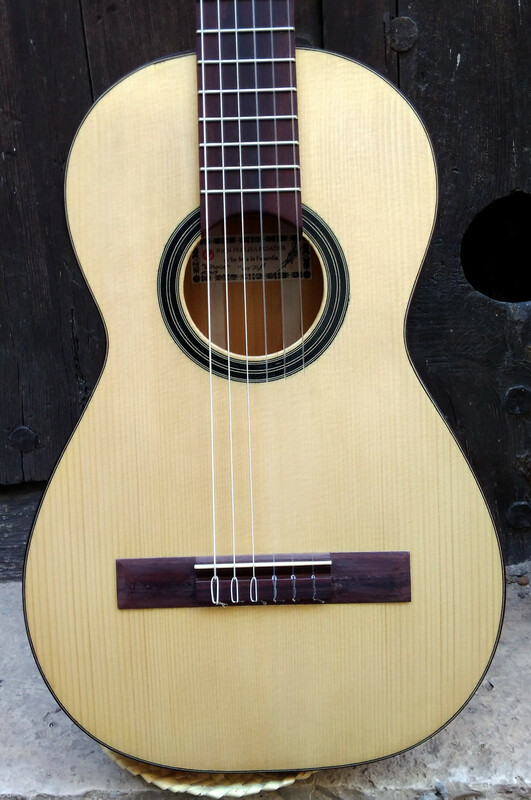 Following the philosophy of Torres in these instruments, the box is made of cypress of lower quality than in concert instruments, the decoration is very simple, the neck is made of cedar and the headstock, fingerboard and bridge are made with mahogany or rosewood. Wooden pegs. String lenght: 604 mm. Price around 2500€. 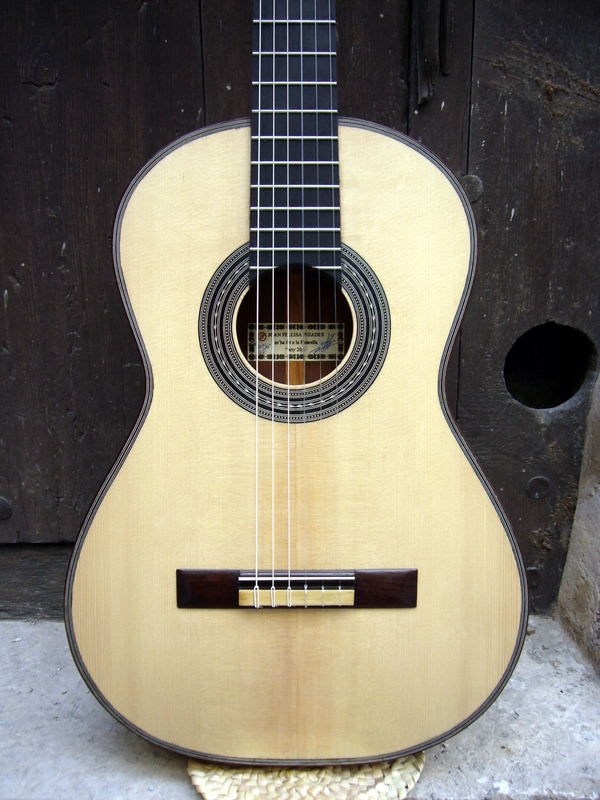 Guitar based on the medium-big plantilla of the first epoch of Torres, used in some of the best instruments Torres built for great masters like Tárrega, Pujol or Llobet. Guitars with a brilliant and powerful sound, but with the concept of light and apparently plain instruments of Torres work. 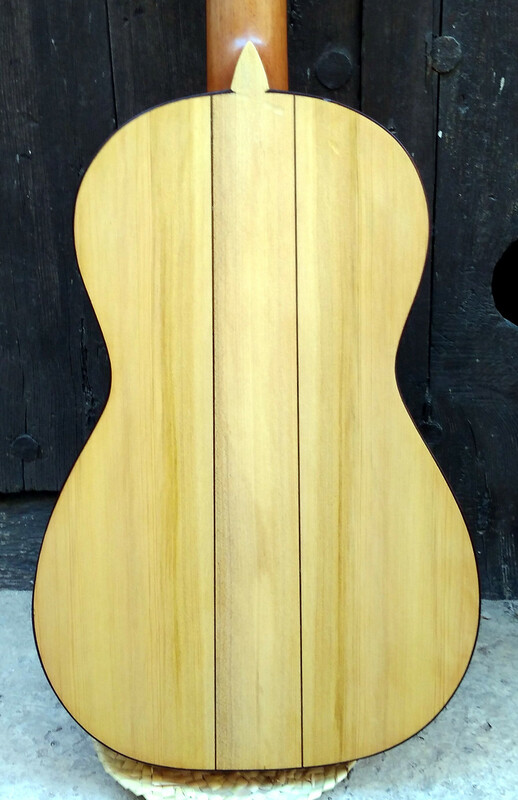 Neck made with cedar or mahogany, back and ribs made with cypress, maple or rosewood, simple and elegant decoration always based on original Torres instruments. High quality tuning machines or Wittner pegs. Possibility of tornavoz (see at the bottom of the page). 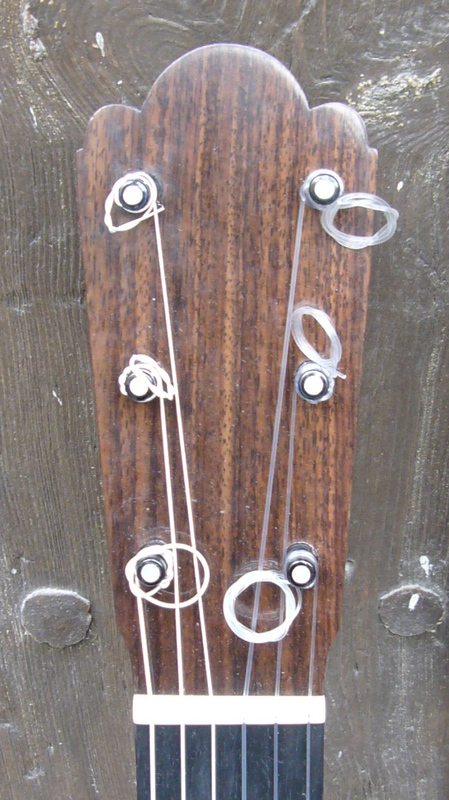 String length: 650 mm. Price around 3500€. 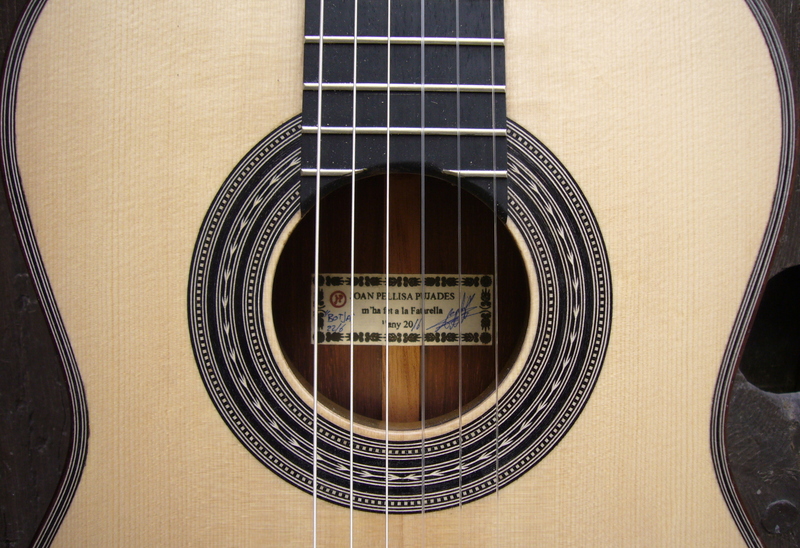 This guitar is designed on the biggest plantilla of the second epoch, namely on an instrument of 1885. 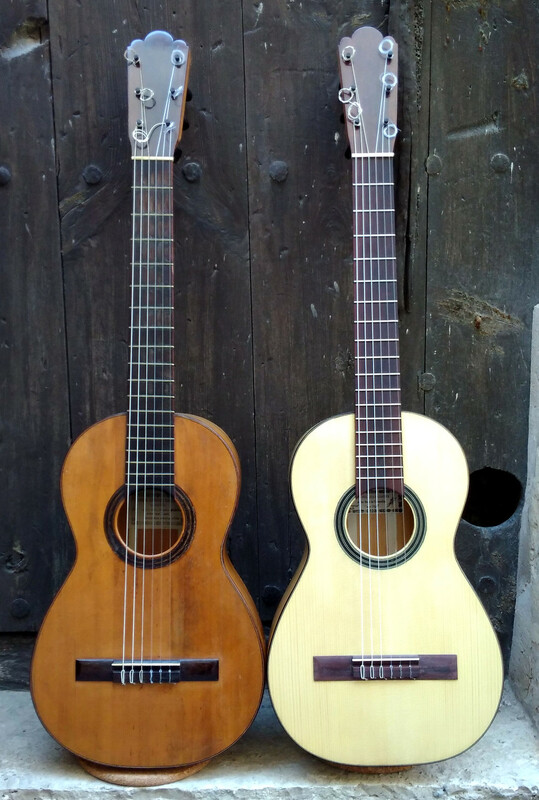 The bigger plantilla gives to the instrument some extra sound amplitude, and it’s a guitar for the musician who are looking for a Torres model near to the actual guitar sizes. 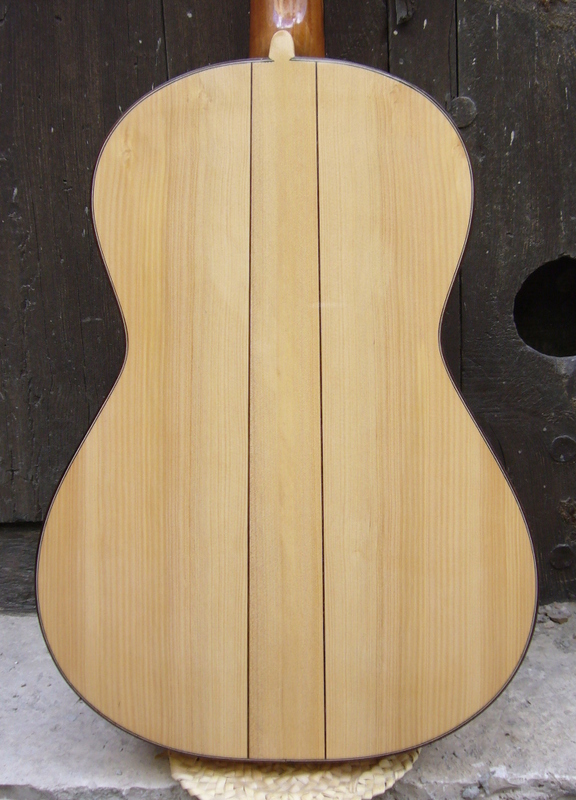 Neck made with cedar or mahogany, and back and ribs made with maple, cypress or rosewood. 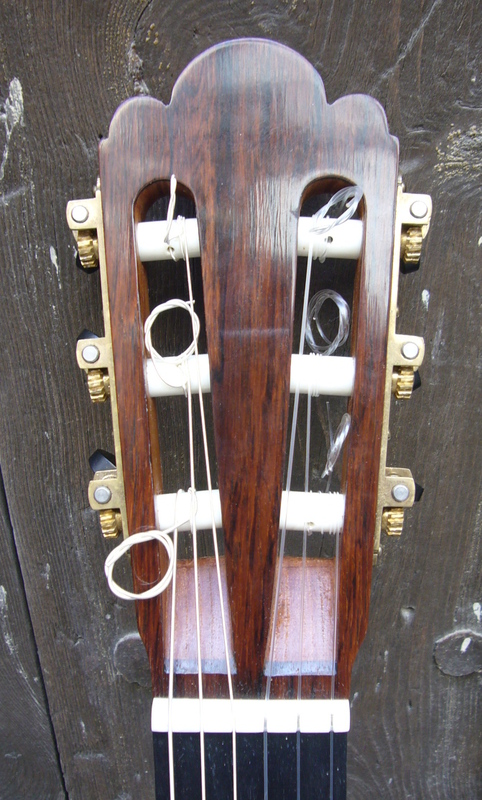 As in the previous model, the decorations is simple and elegant, always based on original Torres instruments. High quality tuning machines or Wittner pegs. Possibility of tornavoz (see at the bottom of the page).String length: 650 mm. Price around 3500€. Philologycal copy of the 1863 guitar used by Emili Pujol, maybe the best guitar I’ve ever heard (in the first photography you can see the original next to my copy). From the many hours I’ve worked with the original instrument, I attempt to copy not only its appearance, but also its specific personality. In other words, I try to put myself in Torres’ mind when he built this guitar. 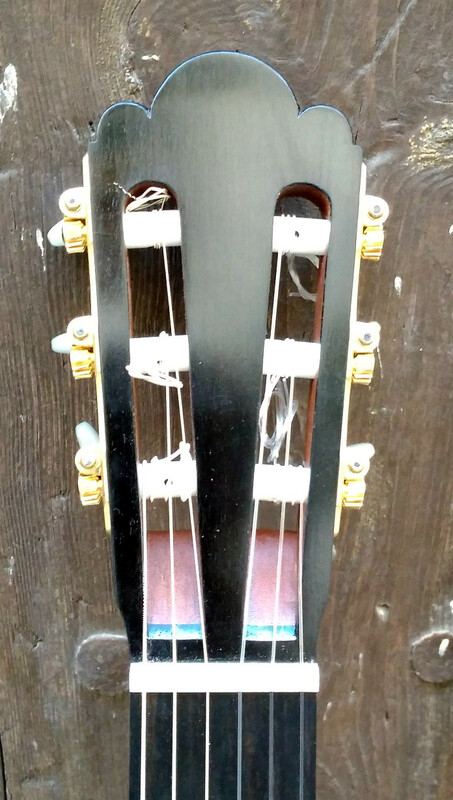 This instrument has a slightly different bracing from classic Torres work (open low transverse bar and extended fan bracing) and has tornavoz, which gives a unique and differenciated sound from the other guitars I build. 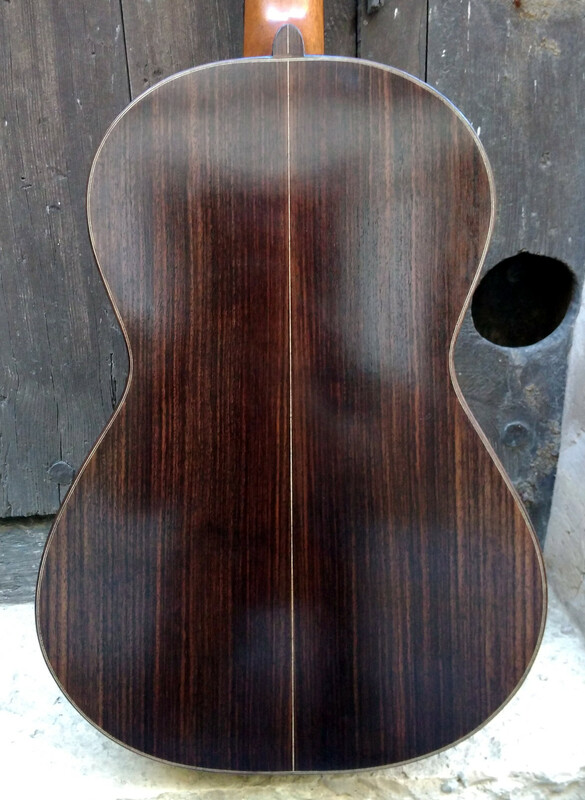 Back and ribs of the original guitar are made with Rio rosewood, but as it is a protected specie, in my instrument is replaced by similar woods like Madagascar or Honduras rosewoods. The rest of materials and all the decoration follow strictly and faithfully the original, with the neck made of cedar and the rosette, bindings and purflings more elaborated than other models. 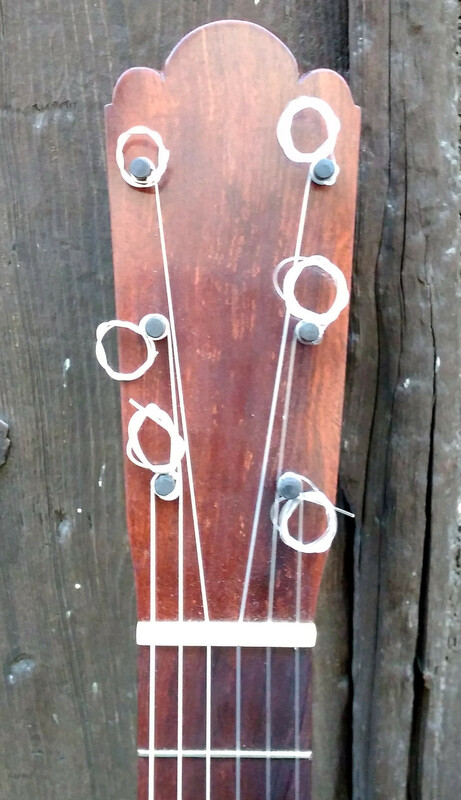 I always string this guitar with Knobloch Sterling Silver, and it’s a perfect instrument to play music by the great classic masters like Tárrega, Llobet or Pujol. High quality tuning machines. String length: 650 mm. Price around 4100€. Tornavoz. 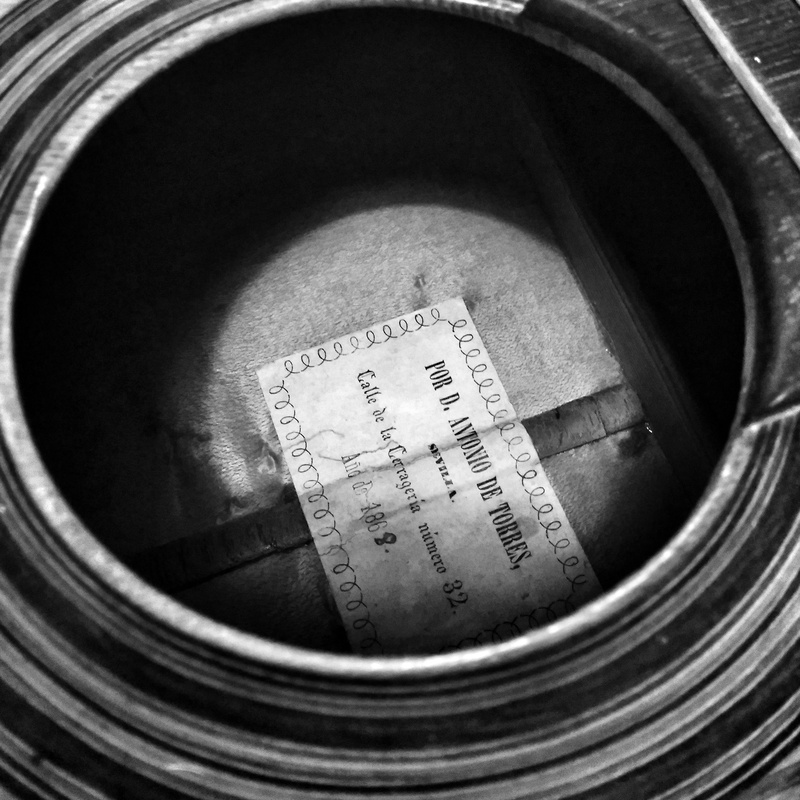 This is a metal cone, normally brass, fixed on the soundhole of the instrument and inside the soundbox. Despite there are lots of myths about the tornavoz (some even say it gives a metallic sound to the guitar!!! ), what this gadget does is “closing” the soundbox and lower its base frequency (Helmhölz ressonance). On the player’s point of view, this gives to the guitar a surprisingly sweet and velvety sound, with deep bass and extremely soft treble registers. 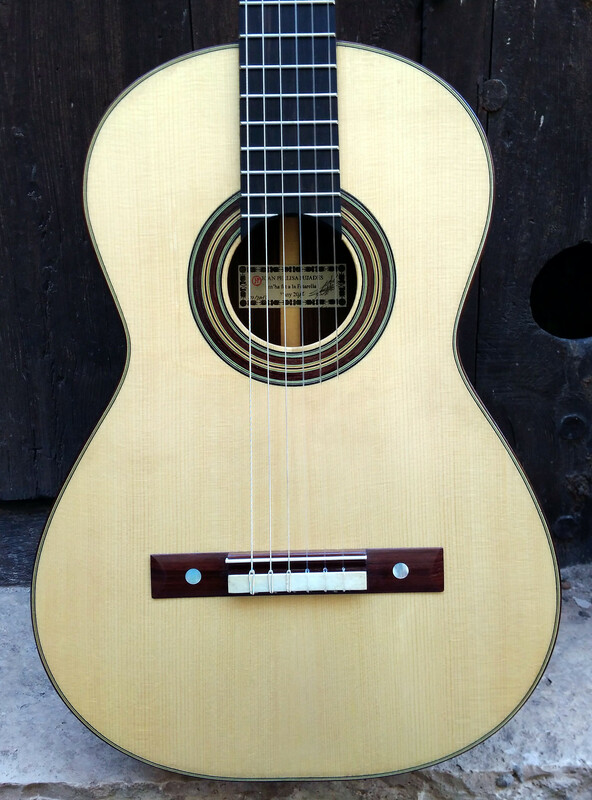 Tornavoz for medium or big plantilla guitars: plus 550€.